5GHz , 60° - 13 dBi. Symmetrical Horn Antenna with Carrier Class performance. TwistPort adapter not included. Symmetrical Horn TP Antennas are scalar horn antennas with a symmetrical beam radiation pattern and an industry-changing TwistPort (TP) connector. They offer a perfect blend of features that solves major weak points of current mainstream sector antenna technologies. Symmetrical Horn TP Antennas have no side lobes, they literally focus energy into one main signal beam. Such behavior saves the most important resource in wireless - the spectrum. Thanks to these unique radiating properties, the radio collects and propagates significantly less noise in comparison with current mainstream sector antennas. The problem of noise is directly connected to antenna side lobes - basically an unavoidable feature in most competitive products. Symmetrical Horn TP Antennas behave differently, being basically "deaf" outside their main beam. Mainstream sector antennas have a radiation pattern that is very wide in azimuth cut but very flat in elevation cut. 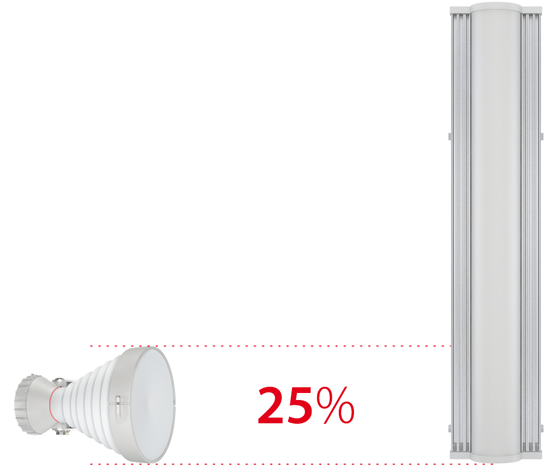 If an AP is too high, the customers that are too close will suffer from low AP signal. Symmetrical Horn TP Antennas radiate a symmetrical circular beam pattern that is very similar to a simple flashlight. Because of their unique radiation pattern, Symmetrical Horn TP Antennas can cover nearby areas much easier than mainstream sector antennas. Symmetrical Horn TP Antennas feature our industry-changing TwistPort connector, a patent-pending quick-locking waveguide port. TwistPort is virtually lossless: there are no coaxial RF connectors or RF cables that cause signal loss. Connecting radios is brilliantly simple - “twist and lock” - all done with one hand! 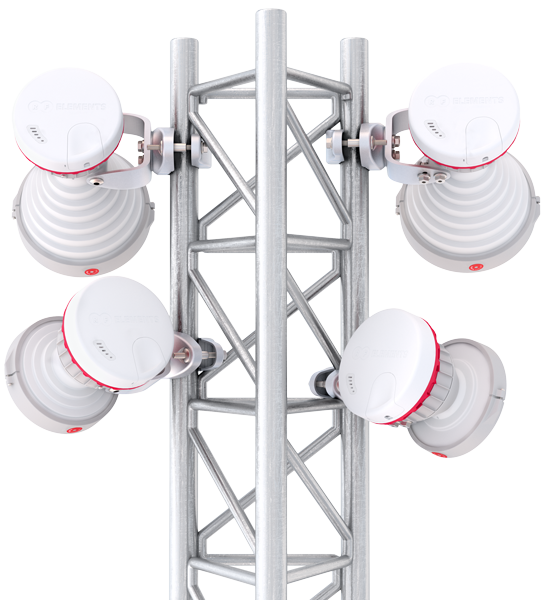 Symmetrical Horn TP Antennas offer breakthrough scalability options for wireless systems. Unique beam performance and great co-location characteristics allow for a higher density of sectors than a traditional sector technology. Symmetrical Horn TP Antennas come with precise radiation angles, ranging from 30 to 90 degrees: a wide range of models suitable for any situation. 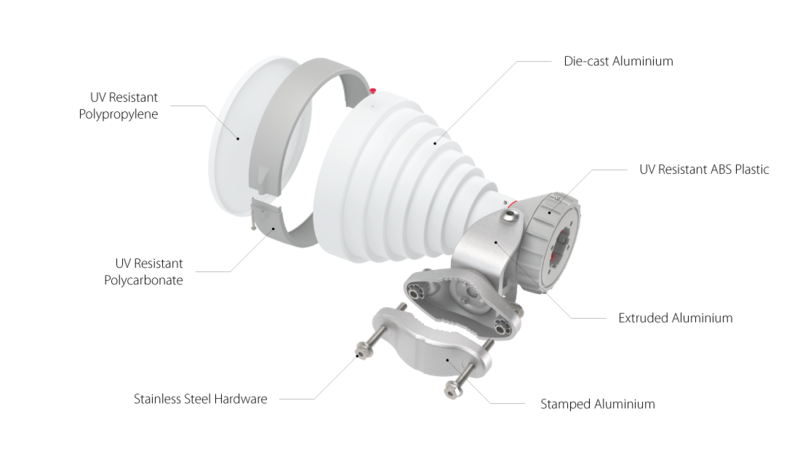 Our wide range of TwistPortTM Adaptors allows you to connect major connectorized radios, such as UBNT, MikroTik or Cambium Networks, directly to any TwistPort-enabled antenna. Symmetrical Horn TP Antennas come pre-assembled from the factory and ready for immediate deployment. The installation is very easy and requires only a single tool.